Preheat oven to 200 /180 fan forced. Combine polenta, flour, salt and baking powder in a bowl. Add oil and ½ cup cold water. Stir to combine. Divide dough into 2 balls. Using a rolling pin, roll 1 ball between sheets of baking paper until 1 mm thick (37 cm x 28 cm). Sprinkle with sea salt. Cover with baking paper. Re-roll lightly to press in salt. Remove top sheet of paper. Lie paper and dough onto a baking tray. Using a metal ruler, mark dough into 5 cm triangles. Repeat with second dough ball. Bake, 1 tray at a time for 15 – 18 minutes or until golden and crisp. Cool on trays. Break into triangles. I blitzed the polenta with a stick blender to get a finer grain. Use a scone cutter for a different shape. Next time I might sprinkle finely grated Parmesan cheese and then re-roll. I am always on the lookout for gluten free food that looks “normal” as this is one of the criteria my teenager considers to be important. These chips in a tube fit the criteria and they are also taste normal, another criteria. 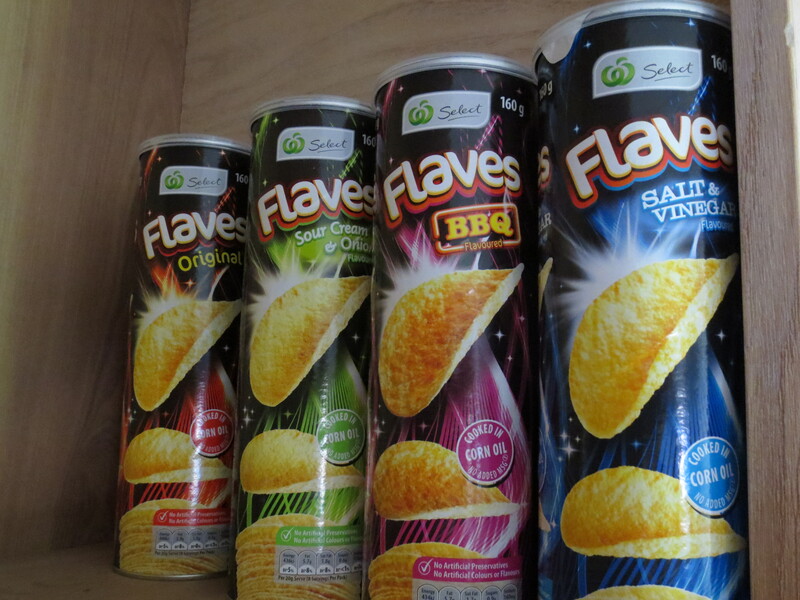 Select is a Woolworths Supermarket product and this product comes in four flavours. Handy to throw in the bag for that sleep over or camping or just to eat while watching television. 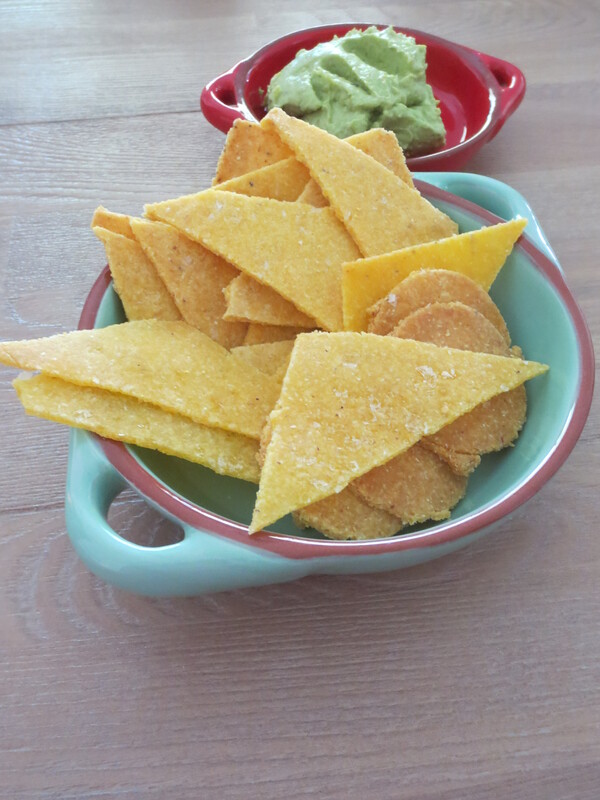 They are made from potatoes, tapioca flour and corn oil and flavourings and are like a chip cross corn chip.